How Do You Have This Happen To You At Work? I’ve always had a fear of being on the job site and injuring myself. I am definitely more of the sit at a desk and stationarily do my work kind of employee. Hence, it is why I have a lot of admiration and respect for people working in the trade industry. A long, hard day of grueling manual labor with the jobs that the average people cannot stand. My cousin is in construction and tells me that they play a gruesome game of “truth or dare” to pass the time. This was the result. Ughh I’m sick to my stomach. On second glance, a part of me also did not believe him. Did this image fool you as well? This is the work of an artist who goes by TutoDraw on YouTube. You can see more of his work below. 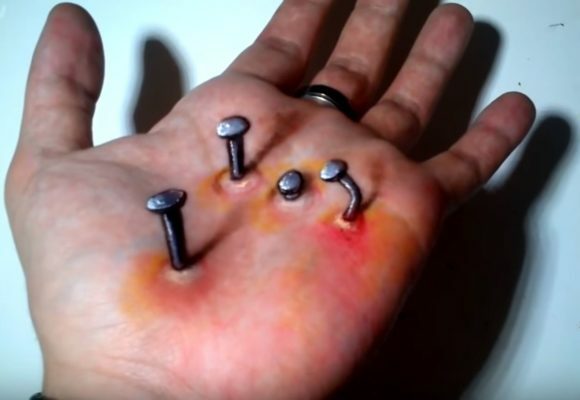 He specializes in realism illusions and hand art. Great way to pull pranks, scare friends and family.